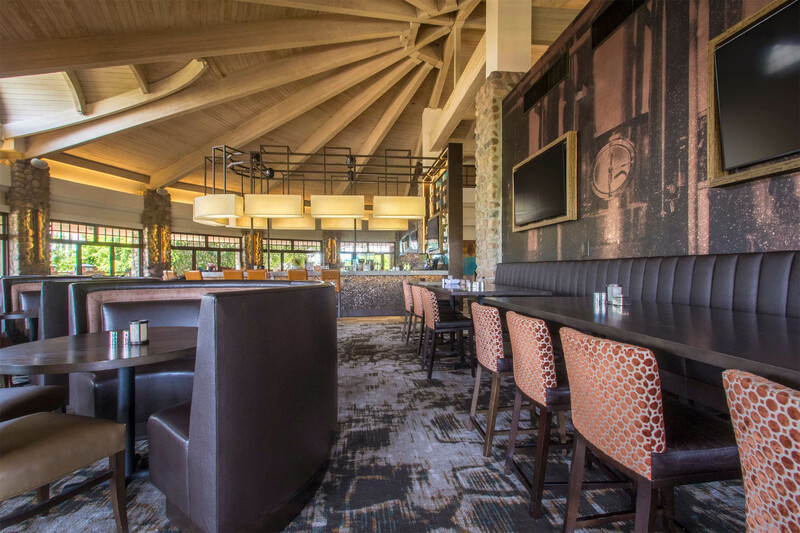 Arrowhead Country Club underwent an extensive renovation of their club grill, reception area, and fitness facilities. 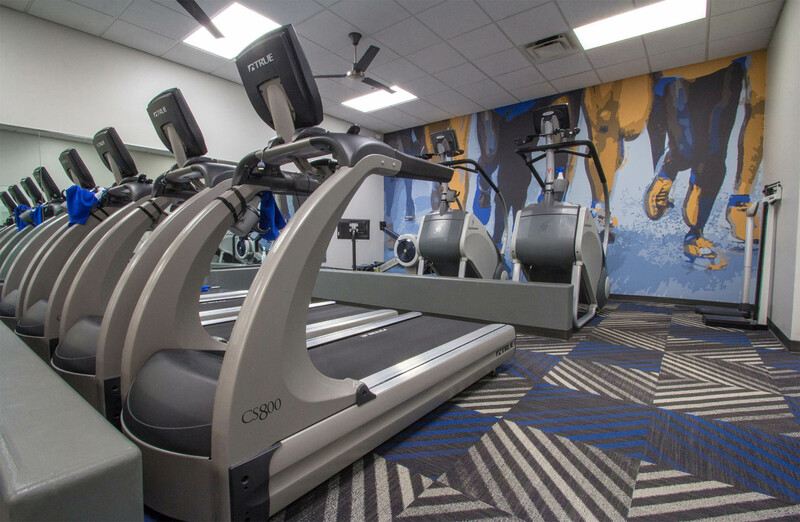 We swooped in to do the heavy lifting and help reimagine the space based on what members want and how they use the property. 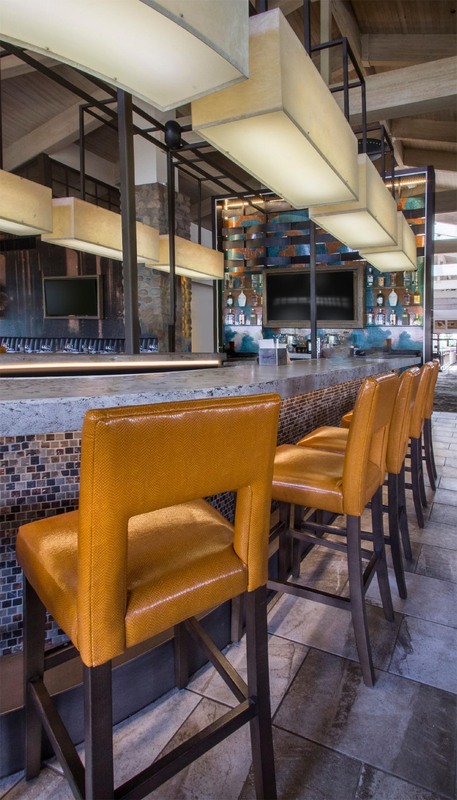 The result is a finished environment that gives a greater variety to how members and guests enjoy the space – from a striking central bar area and TV walls lined with booths and community tables, to vibrant pops of color and lighting that makes the best of very unique architecture. Large TVs line a wall of booths and community tables. 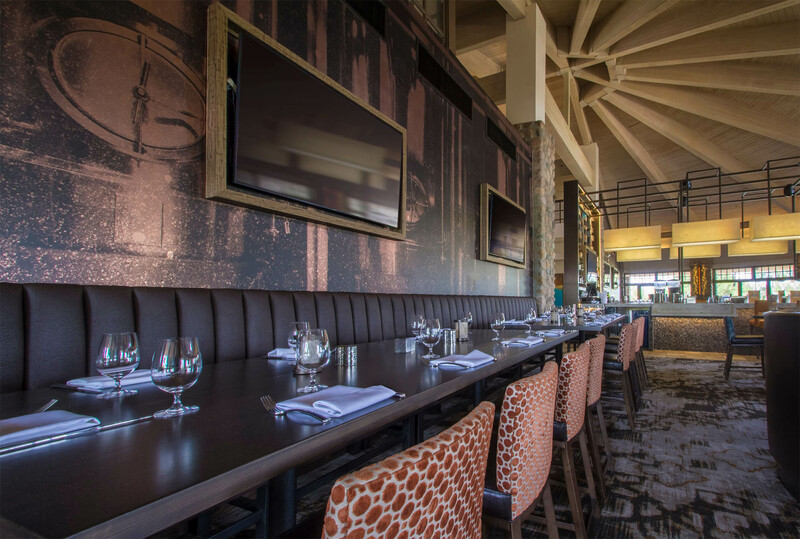 Perfect for hosting large parties of members and guests, as well as having a quiet area to dine and work while overlooking the rest of the grill dining room. 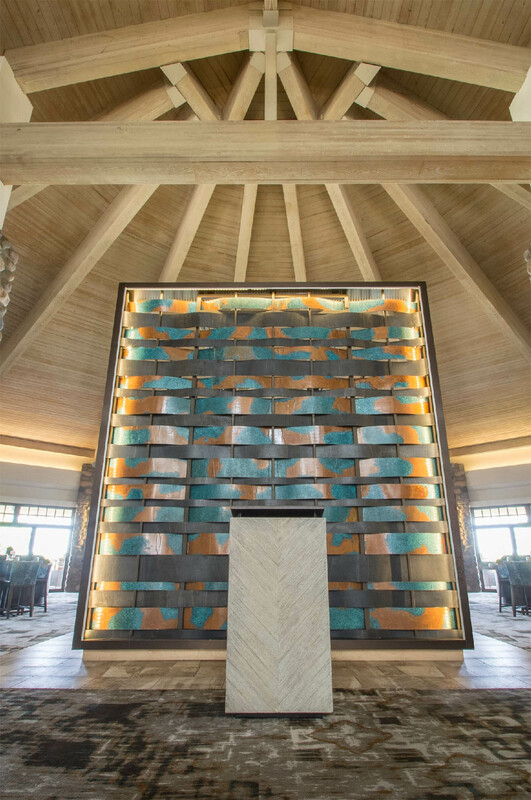 This horseshoe-shaped bar has a decorative back wall that acts as a partition between the new bar environment and the front entry to the club. 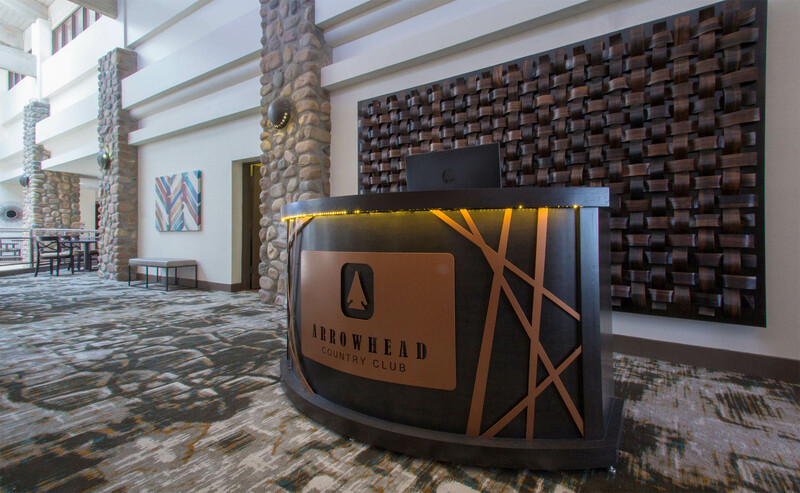 New carpet, artwork, wall treatments, and check-in desk contribute to a fresh new look, all without the headaches of completely rebuilding the lobby. 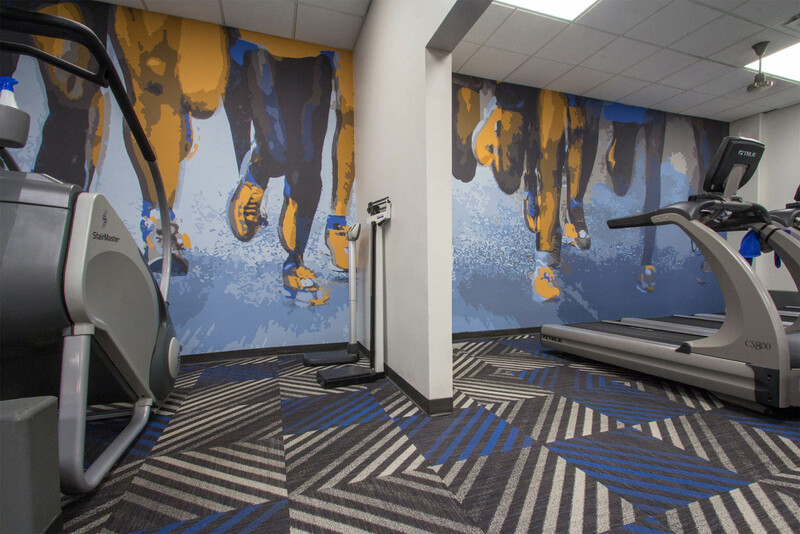 A variety of wall murals and textured floor tile were added to give the fitness space a dynamic vibe with minimal structural disruption. 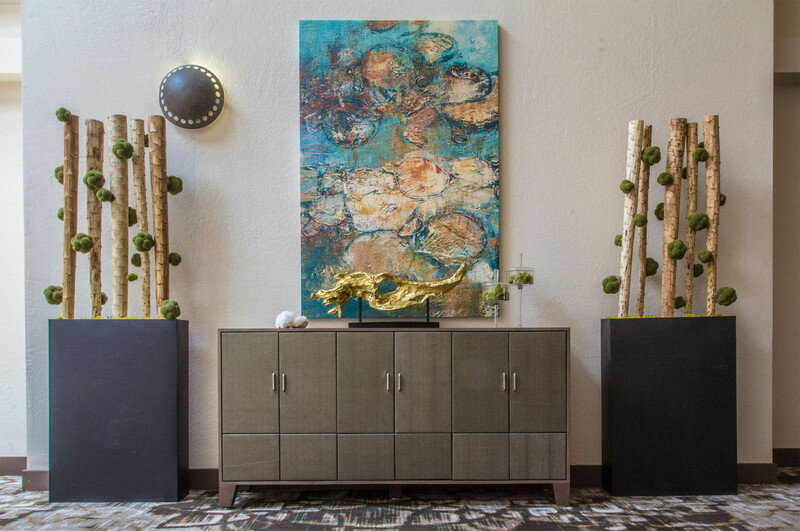 Small changes = big impressions.